TMDSAS is the Texas Medical & Dental Schools Application Service which is equivalent to AMCAS, but is only composed of schools located in Texas. As noted in the name of TMDSAS applicants can use this service to apply to dental and veterinary schools, but I will bypass these aspects of the application. There are approximately 13 sections on the Texas medical school application ranging from biographical information to special experiences. When reviewing the application in its entirety it appears to be much more comprehensive than AMCAS. For instance, residency information is requested, economic status, etc. which makes sense because this service is to matriculate physicians who have a desire to practice medicine in the state where they are trained, Texas. The TMDSAS medical school application service is available beginning May 1 and the deadline to apply is October 1. There is a sliding fee scale which varies depending on whether you are a Texas resident or not. Texas residents pay $55 for one school and are required to submit two photos. For each additional school applied to add $10 to the fee of $55 and include one more photo i.e. 2 schools: $65 and 3 photos. Non-Texas residents will pay $100 and must submit 2 photos for the first school. The scale is the same for each additional school i.e. 2 schools: $110 and 3 photos. It should be noted that TMDAS does not grant fee waivers. You will be asked to provide your residency history along with enrollment in Texas schools of education at both the secondary and university levels. A claim to Texas residency may be made by you the applicant or your legal guardian(s). Section 5 of the applicant is where you indicate which schools you will be applying. A stark difference to the AMCAS is you will be required to list all non TMDSAS schools to which you will be applying. In addition, if you are a reapplicant you will be asked if you had previously applied to non-TMDSAS schools. Again these questions are being asked to ensure that you are committed to practicing medicine in Texas. This is section 6 of the application and is very comparable to the work/activities section of AMCAS. On the TMDSAS there are roughly nine subset of responses to be completed. These range from the standard listing of honors received, service activities, extracurriculars to employment, criminal record, and academic disciplinary action taken. I am so glad I did not apply to Texas schools with this section (section 7). Here you are required to list all major activities since high school graduation to present inclusive of dates and brief description. But hey, this is a small price to pay to gain admittance to medical school and more power to all the Texas applicants. This is a crucial aspect of any application and it comprises section 8 of TMDSAS. 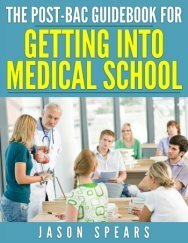 Essentially, you will be responding to the prompt of explaining your motiviation to seek a career in MEDICINE, while discussing your philosophy of the medical profession and indicating your goals relevant to the profession. You will be allotted 4,960 characters to complete your response which includes spaces and symbols in calculating the character limit. This applicantion must be completed online and you will need a valid email address. To get started you will need to request your personal identification number (pin) from the TMDSAS homepage. Upon completion of the online application it is important to mail in your certification page (section 13), application fee(s), and photos. An aspect which will require work on your end is the submission of official transcripts and letters of evaluation. The official transcript must be submitted directly to each TMDSAS school to which you will be applying. The letter of evaluation must come from a committee or TWO individuals and they must be submitted to the individual schools to which you are applying. Please allow between 2 to 4 weeks for processing of your application. If you application passes the initial processing without problems it will be transmitted to the schools which you have designated. You will receive notification via email. Lastly, evaluation of applications and admissions actions will be made by the schools. 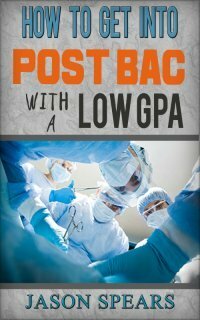 Click here for applying to Texas medical schools.